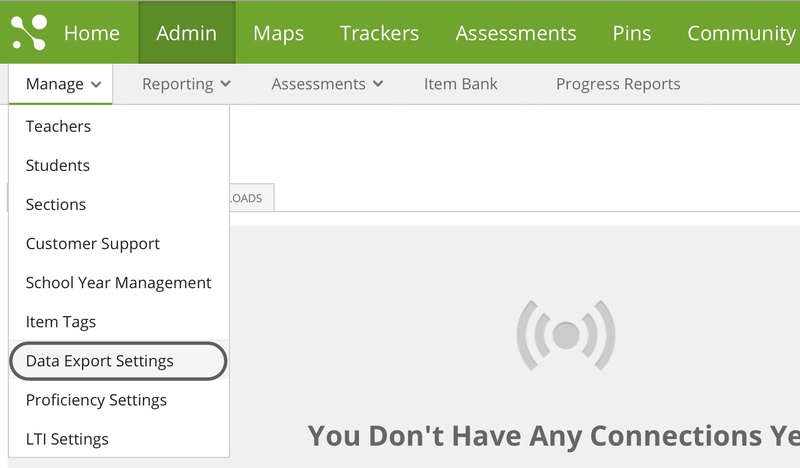 If your school or district is set up to export data from MasteryConnect to an external server, you can export benchmark data after setting up the connection to the server. Click on Admin, then hover over Manage and click on Data Export Settings. You'll see a list of any available data connections. To add a new connection, click on Add Connection. 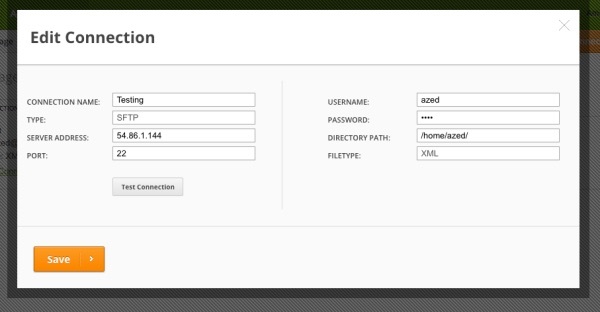 Enter the information to connect to the server where you want to export data. To make sure that connection is valid, click on Test Connection, then click on Create to add the connection. To edit an existing connection, click on Edit Connection under the connection name. Then, edit the information for the connection and click on Save. You can also click on Test Connection to test the connection for any changes you've made.